A couple of weeks ago, I took a camping trip with my husband. I decided before we went on the trip that I would spend as little time as possible on my phone. I’m happy to say that I stuck to that decision. I enjoyed it so much that this past weekend, I decided to do the same. I had a girls’ weekend scheduled complete with a beautiful hike. I thought it’d be another great chance to unplug and enjoy life around me. I was right – I loved it! I’ve come to the conclusion that we all need some time to enjoy the real world instead of the virtual world. As a blogger, I spend a lot of time online in one form or another. Getting away from it made such a difference! 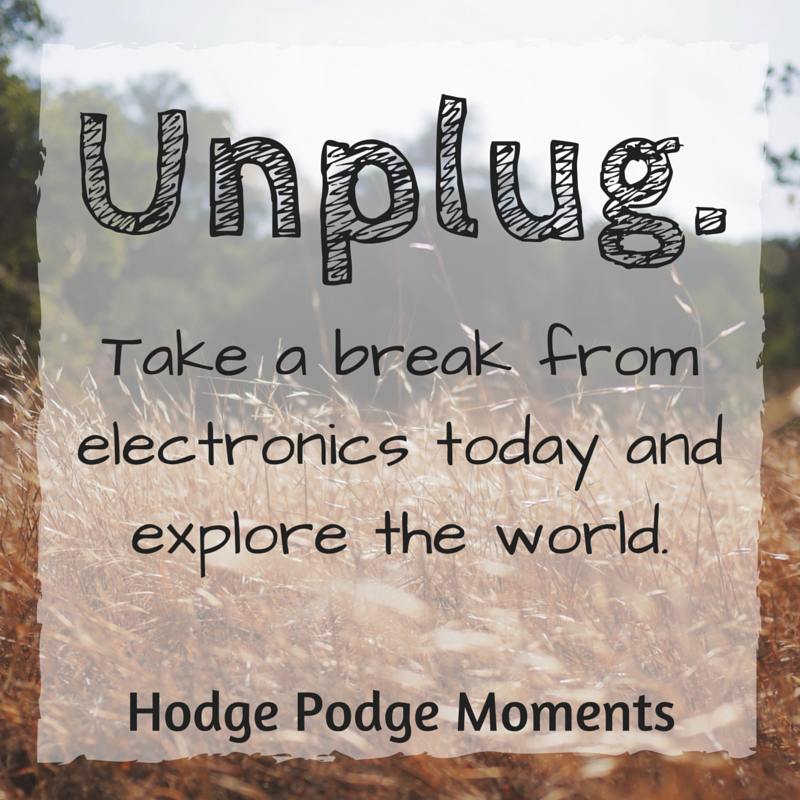 I’ve decided that for the rest of 2015, I’m going to dedicate Saturdays to being “unplugged.” I challenge you to do the same (feel free to pick a different day if you like). I was going to schedule posts for Saturday but then I thought better of it. My blog is an extension of me and I like my followers to be able to see that. Therefore, I’m going to completely unplug (with the exception of the occasional photo on Instagram if I come across something beautiful to share). I may still schedule for other social media networks if I get on a roll but for the most part, I plan to spend Saturdays completely unplugged. I’ll let you know in December how this works out for me! So, are you up for the challenge? One day a week (or month if that’s better for you) unplugged?